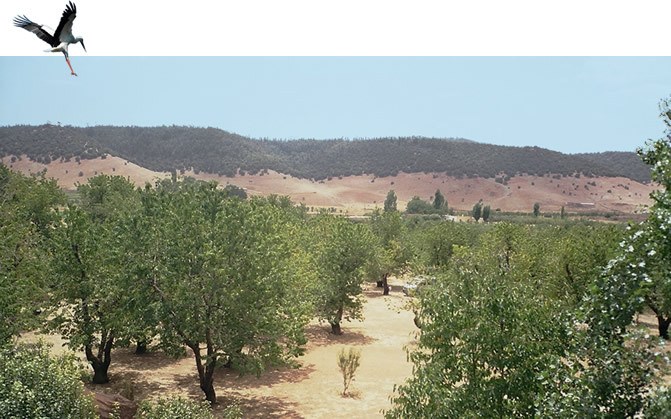 For your holidays in Morocco, take a step camping Amazigh. Located 5 km from Azrou to Ifrane road at 1450m altitude in the Middle Atlas, at the crossroads of major tourist cities of the Mediterranean, the Atlantic and the South, it is also a step in the migration of storks. Thierry and his team are here to welcome you to this quiet and secure orchard. We speak: Berber, Moroccan, French, German, English, Spanish.